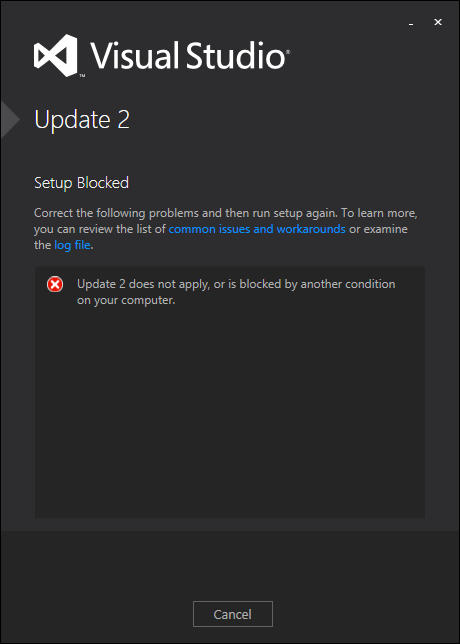 When I tried to install Visual Studio 2013 update 2 it gave me an error. Checked it wasn’t blocked as with other downloaded files. Not the case. The update wasn’t already installed, because the version number was still at 30110. I’ve moved the Package Cache folder and forgot to make a Junction for it. c:\ProgramData>mklink /J "Package Cache" "d:\system\Package Cache"
After this the update installed without any issue. This entry was posted in Tooling and tagged visual studio 2013. Bookmark the permalink.